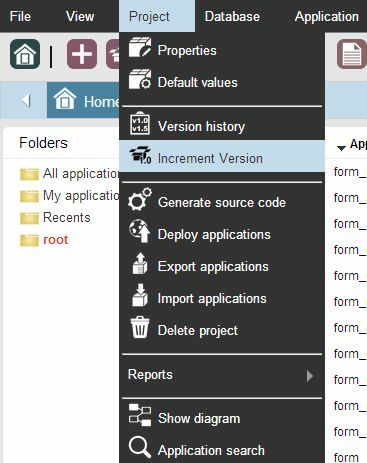 Increment version allows to manager the Project development, by separating the versions that has been developed. Image 1: Increment Version Menu. When a new project version is generated, it will keep a copy of the previous version, allowing the development of the new version. Image 2: Increment Version Interface. Current version - Current Version of the Project. New Version - Id number of the New Version.